Since I moved last October quite a few of you have been asking me to do a room tour post. I finally got around to taking the pictures once my room was tidy! I have split this post into two parts as I had too many pictures to put into one post. As you can see by my bedding I am quite obsessed with Flamingos! 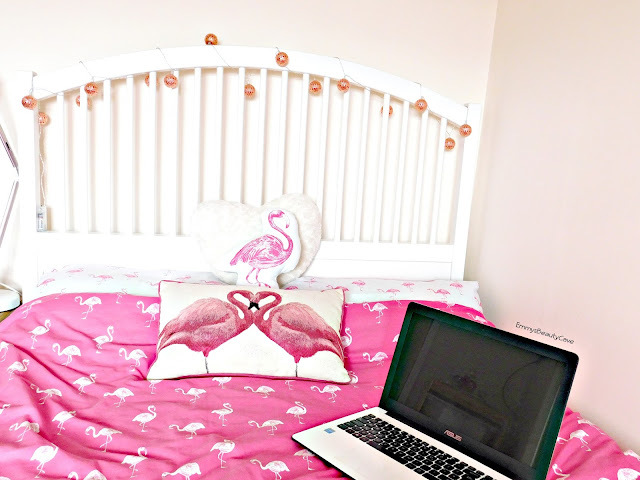 This flamingo bedding is from Primark and it is reversible. My is white wood with the high headboard and it is from IKEA . I love having fairy lights around my headboard and this rose gold ones are from Primark, when they are lit up they print floral designs on the wall. My dresser area is one of my favourite places. 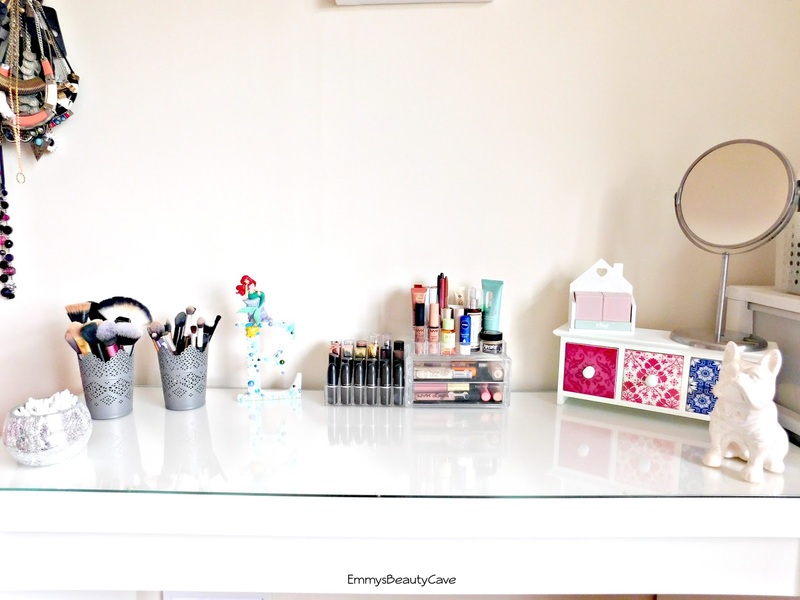 Before we moved I never had room for a dresser so my parents treated me to the Ikea Malm Dressing Table which I love. 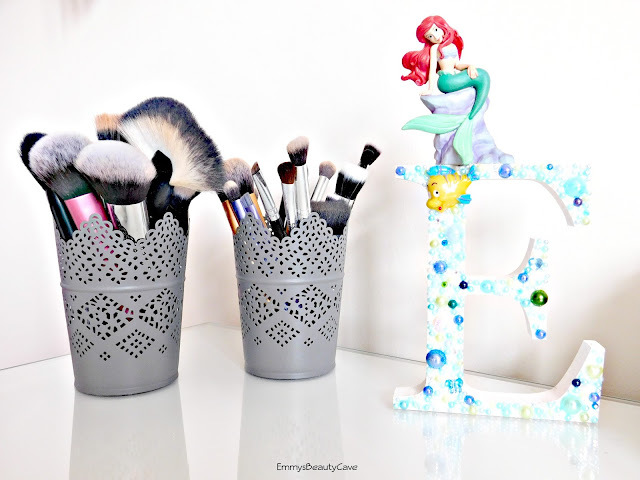 Most of you will recognise my makeup brush holders from Ikea, I decided to get them in grey instead of white as I thought they added a touch of colour rather than everything being white. These are only £2 and are actually candle holders! My Ariel Letter is one of my favourite things EVER. I got this handmade by a seller on depop and you can find her on Instagram @TLC_Initials . She can do pretty much any design and colour. 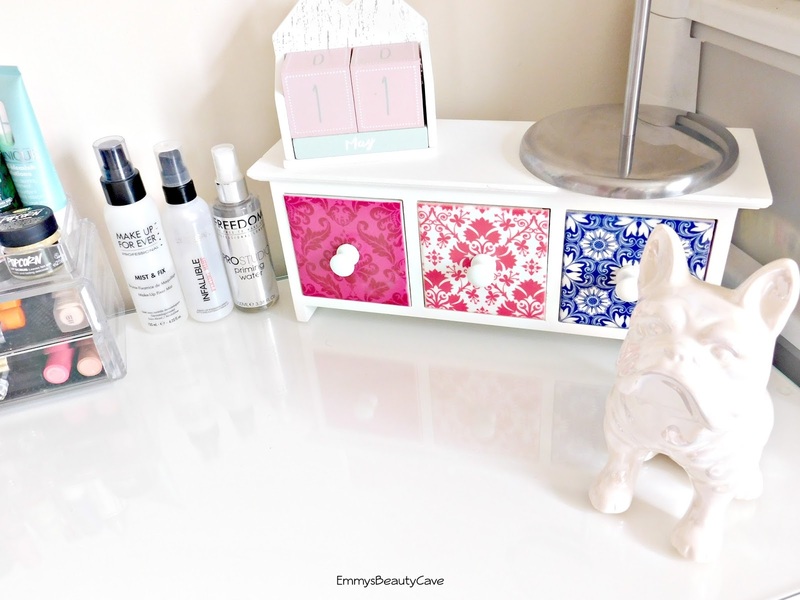 My Acrylic makeup storage is actually from Ebay and each cost below £12! I keep all of my lipsticks in the holder which holds 24 lipsticks and the muji drawers hold some of my concealers and liquid lipsticks. The last part of my dresser includes this gorgeous mini drawer set my best friend got me for Christmas, I keep all of my hair bobbles and clips in these. I have my wooden calendar, mirror and my white french bulldog! 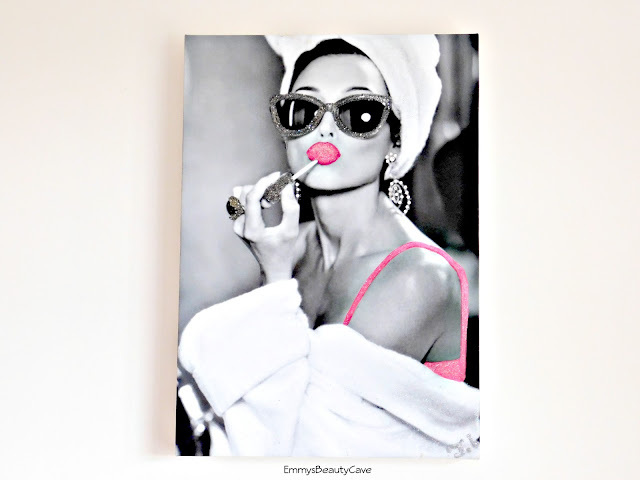 How pretty is this canvas?! My mum got me this a few years ago for my birthday, it has glitter on certain area's and it looks amazing above my dressing table. 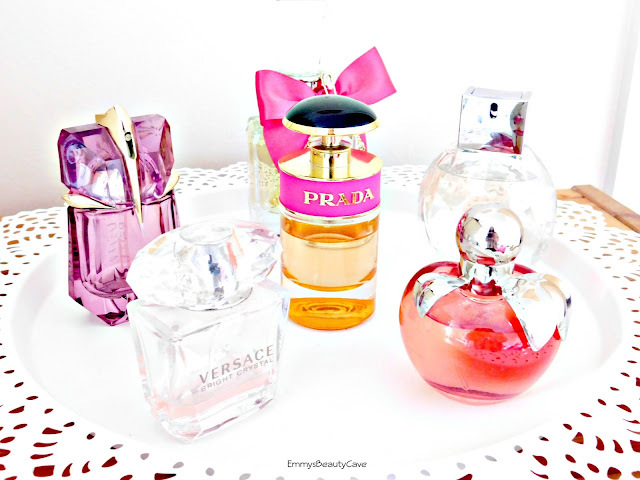 Everyone loves perfume right? 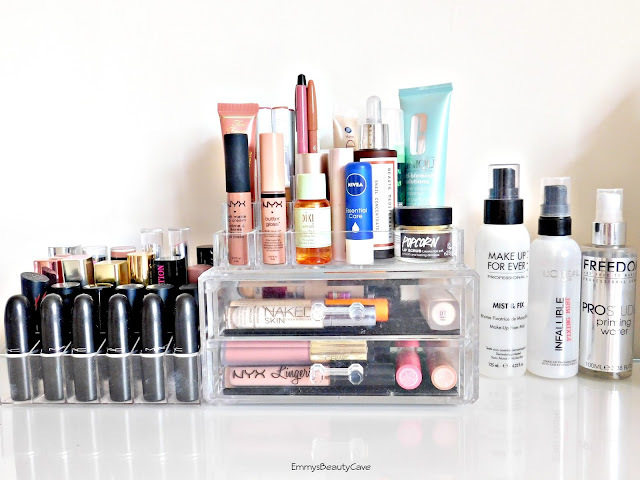 These are just some of my favourite's I use often, the rest of them are in a drawer as I own far too many. I keep them on this Large Candle Tray from Ikea. That is part one of my Room Tour and I will be uploading the second half soon. It includes my blogging area, a bit of Disney and more!